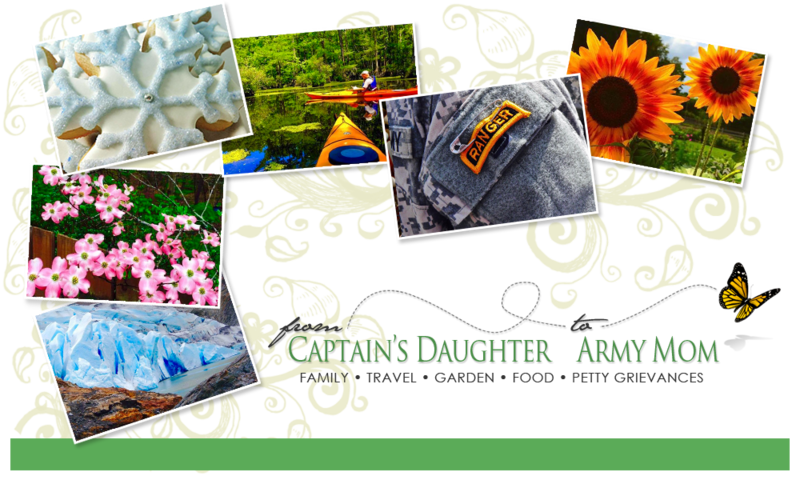 From Captain's Daughter to Army Mom: Eat. Think. Smile! I read my e-mails... Even when I'm hiding under the covers, avoiding the scary reality that the Ranger is now deployed... So I do know that you've missed me around here. And, I soooo appreciate all of you that have peeked in on me, really I do! The truth is I'm doing okay. Actually, I'm a little better than okay. The Ranger has been in touch with us, plus I was selected for an amazing opportunity and promotion at work, and I'm still doing fabulously well on my CLEAN program. I'm down 96 pounds since beginning the program last June 1st - And, at one point I was down 112 pounds; however, New York, the cruise, the holidays, a trip home and our anniversary vacation all happened to derail me a little. However, the fantastic news is that I've been back on plan for a while now and I'm even more committed than ever to reaching my goal! Baking and cooking after work and on weekends has been replaced by trips to the gym. I've worked really hard all these years to avoid exercise so the fact that I'm working out six days a week and work out three hours every Thursday surprises no one more than it surprises me. The truth is that I've discovered two forms of exercise that I really look forward to... Spin and aqua aerobics! The Spin classes offered where I work are the best Spin classes I've ever taken; and since the Spin classes I take at the YMCA are not quite as challenging, (but I still go!) I feel like I am qualified to tell you that the Spin instructors at HbI flat out, ROCK! As far as aqua aerobics... Who knew I could do more in my pool than float? Not me! Of all the classes I've taken, Spin and aqua aerobics makes me feel most productive and successful, which is why I keep going. For the month of December at my gym, I ranked #12 in most calories burned for all members - and for January, I moved up to #7! Last week I received an e-mail from Coyne PR in New York inviting me to a local launch party for Eat. Think. Smile. The objective was to sample delicious snacks and provide feedback. Snacking, mingling, chatting about what I like and don't like... I was so there! And, when Coyne PR invited me to bring along some of my friends... Well, I took it upon myself to fill their room! with water to remove the pulp and dried in the sun - Fascinating! or salty snacks. Both options are super-tasty and totally guilt-free! a yummy assortment of fresh salads and sandwiches provided by Panera bread! The girls also didn't skimp on the goodie-bag they sent us home with either! I've been passing Eat. Think. Smile around at work all week! 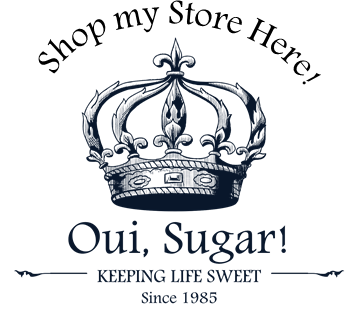 Because when something that tastes this good is this good for you, you just have to share! launch of Eat. Think. Smile in my area, and for all this great product too! Wow, good for you all the way around...the goodies, the exercise, and the weight loss! Woo Hoo for you Janet! I adore spin classes as well! I love riding outside so much I didn't think I'd ever adapt to pedaling indoors with the bike staying in one spot. But having a great instructor really does make a huge difference! I'm training for the Seattle to Portland ride in July, and love having the spin option when it's too rainy to hit the roads. Girl I am so so SO proud (ok and a little envious) of YOU!! you rock! I wish I could get myself to exercise like that! I've never heard of Eat Think Smile! Definitely checking it out!! thinking and praying for you guys! I am so excited for you and your weight lose! WOW!!! I used to do a spin class and LOVED it-who knew? I could love exercise.LOL. Looks like a fun event, great to hear of new products. In the purest most delightful sense of the word! I have been a SLUG this week! Can't wiggle out of the JANUARY FUNK! You are going to be an IRON WOMAN before all of this is over with! I think I need to hire you to be accountable to starting MONDAY...for a week! WIll you do that for me!? You know...you are my LIFE COACH! That is so cool that they came to your house! Makes me want to order some! Can they come to MY HOUSE? And I am placing an order with PopChips too! You need to order some Cascade Ice! ANd I pray for THE RANGER! 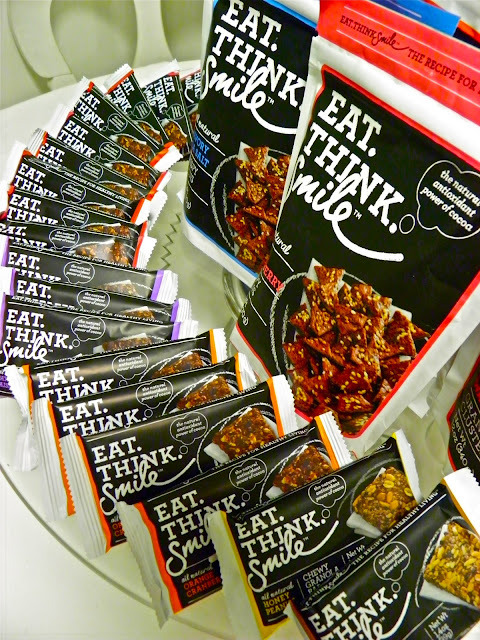 I just emailed Eat Think Smile to let them know how much I love their product! I begged them to come to WASHINGTON! I'm so proud of you and your weightloss. I just think you're amazing! They were quite generous with their good bags- nice!